A study on the taphonomy of Cladocera was carried out in a small (9 ha), oligotrophic mountain loch, Loch Coire Fionnaraich (LCFR) in northwest Scotland. Four approaches were used. First, the fossil assemblage of Cladocera in the core-top sample taken from the deepest basin (14 m) of the loch were compared with the fossil assemblages of Cladocera in surface sediments along eight depth transects with samples taken at 2, 5, 8 and 11 m, respectively. The results of the deposition of remains of individual Cladocera and of the PCA ordination showed that littoral Cladocera were dominant in the 2 m-depth samples, while the planktonic Cladocera dominated the deeper water (8, 11 m and core-top) samples. Second, the fossil assemblages of Cladocera in the core-top sample were compared with the assemblages in a sediment trap sample. The core-top sample showed a better representation of the cladoceran taxa present in the loch than the trap sample, but rare taxa were missing in the core sample. Third, the fossil assemblages of Cladocera in the core sample were compared with the contemporary assemblages in the source samples derived from seasonal sampling across all habitats (macrophyte, sand, boulder) over 2 years. Only a small proportion of Cladocera in the source samples was represented by the fossil assemblages in the core sample. Finally, ‘integrated’ approach samples (spatial, trap, source and core together) were compared using PCA. The Cladocera in the core-top sample were closely related to the trap and surface sediment samples, but weakly related to the source samples. The overall results indicate that biases may occur whilst reconstructing the past environmental change based on the fossil assemblages of Cladocera in the core sample taken from the deepest basin of the lake. We are grateful to members of the Environmental Change Research Centre (ECRC), University College London (UCL), for their invaluable support for this work both in the field and in the laboratory. 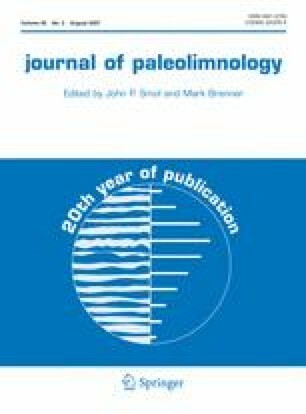 We would also like to thank two anonymous reviewers as well as the co-editor-in-chief of JOPL, John Smol, which helped us to improve the quality of this manuscript significantly. This work was funded by an ORS Award to Giri Kattel, the UCL Department of Geography, ENSIS Ltd and a UCL Graduate School Research Scholarship.